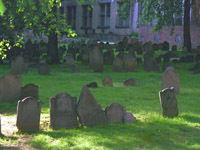 Three signers of the Declaration of Independence are buried at the Granary Burying Ground, the third oldest burying ground in Boston. This is the last surviving residence in what was once Boston’s most exclusive neighborhood. The Federal Style is evident in the home’s classic architecture and elegant furnishings. 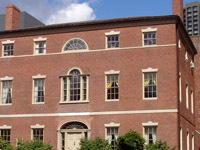 Charles Bulfinch built this house for Harrison Gray Otis and his wife Sally in 1796. 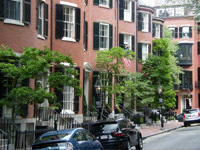 Otis was a developer of Beacon Hill and made a fortune. He later served as a Representative in Congress and Mayor of Boston. Harvard is the oldest university in the United States. It was established in 1636. 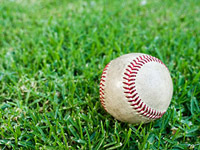 Graduates include seven U.S. Presidents: John Adams, John Quincy Adams, Theodore and Franklin D. Roosevelt, Rutherford B. Hayes, John F. Kennedy and Barack Obama. 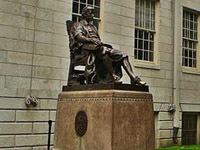 The campus is made up of a diverse collection of historic buildings and the acclaimed Harvard University Museums. 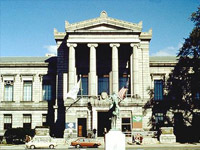 An center for multi-disciplinary arts, the ICA has been at the forefront of art in Boston for more than seventy years. 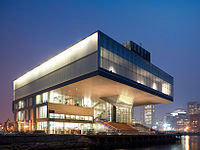 Like its iconic structure on Boston’s waterfront, the ICA offers new ways of engaging with the world. Its exhibitions and programs feature contemporary art, artists, and the creative process, letting audiences of all ages and backgrounds to participate in the excitement of new art and ideas. Art by some of the best known artists in the world are housed in this replica of a 15th century Venetian style palazzo, accentuated by a flower-filled, glass courtyard. 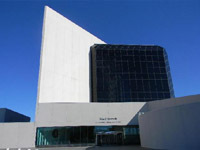 The John F. Kennedy Library was dedicated by President Carter and the Kennedys in 1979. Located on a 10-acre park, the library is dedicated to the life and legacy left by the 35th president of the United States. The library also plays host to the Profiles in Courage award; it is given annually to honor elected public officials. The museum and Library were designed by I.M. Pei. The original Kings Chapel was Anglican and was built in 1688 on a portion of a Puritan cemetery seized by British troops. 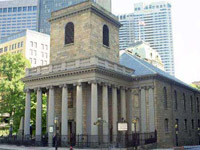 The current King’s Chapel, built in 1754, is the first Unitarian Church in the United States. Look for the names of famous Puritans in the adjacent burying ground. This square and manicured oval park on Beacon Hill is the most prestigious address in Boston and is owned not by the city but by homeowners. 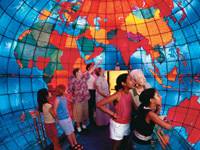 Located at the Mary Baker Eddy Library, the Mapparium is a unique experience created as light, music, art and architecture gather. Walk the 30-foot bridge through the magnificent glass-paneled sphere and learn how the world has changed since the glass globe was created in 1935. Also available to the public are The Monitor & Quest Galleries, the Hall of Ideas and interactive exhibits. The Library Reference Room offers a great place for reading.